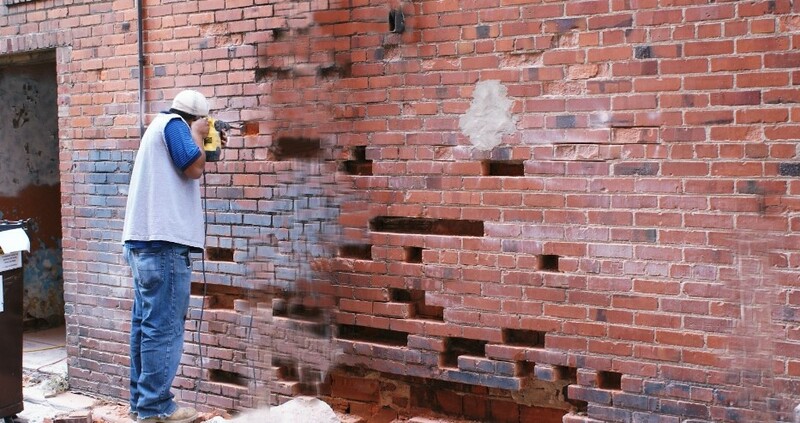 Interior Wall Leaks Associated With Masonry Walls. 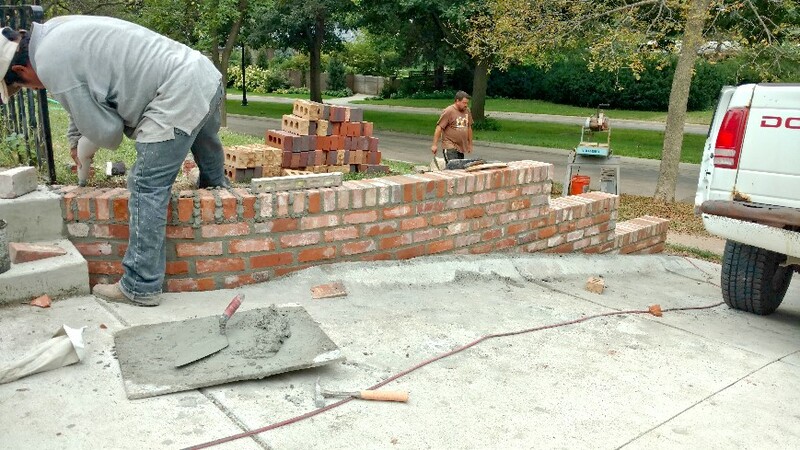 At Lincoln Custom Masonry, we specialize in custom builds so our customers can participate in the design and color process of fire pits, outdoor & indoor fireplaces, patios, brick & stone mailboxes and more. 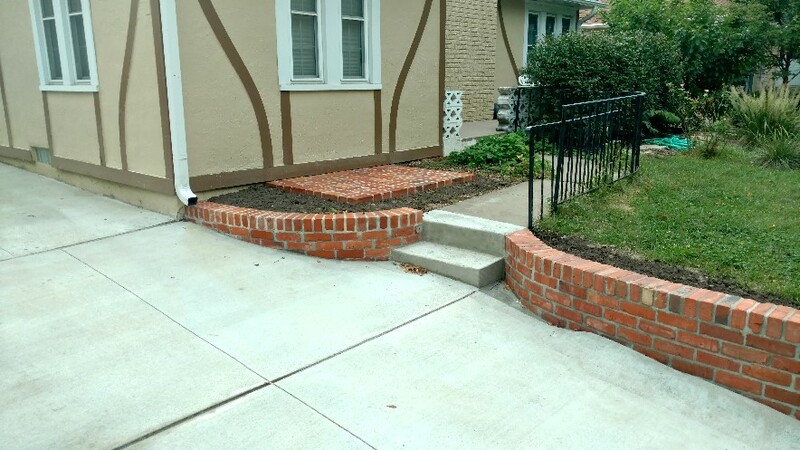 At Lincoln Custom Masonry, we don’t believe in tearing down the old to replace with the new. There are beautiful historical buildings that we use our skilled workmanship to rebuild and restore to new again. 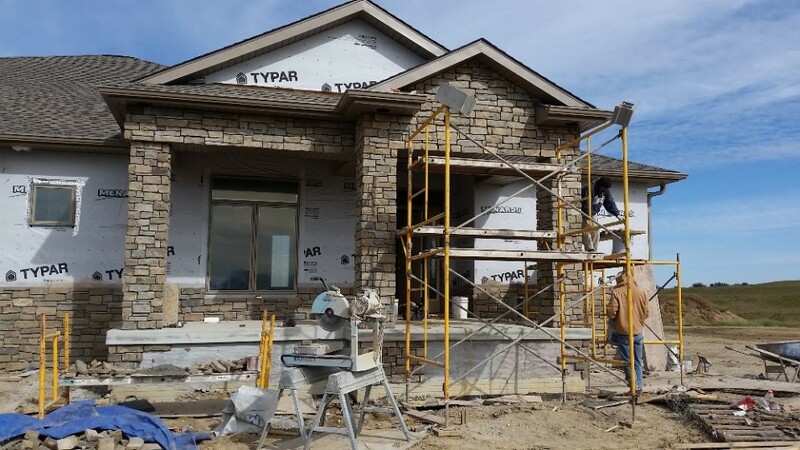 There’s always more room for new constructions and at Lincoln Custom Masonry, we know how to build beautiful and durable residential and commercial buildings to fill the need. 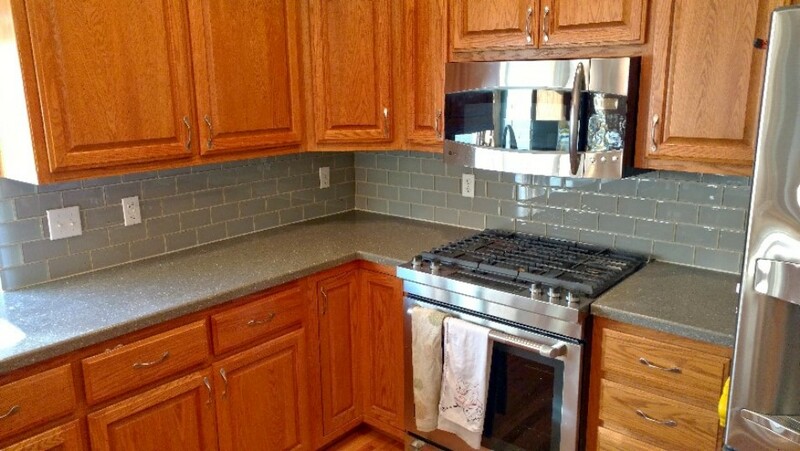 Looking to replace outdated surfaces or products to updated standards and looks? 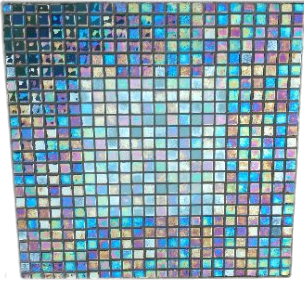 We do backsplashes, entryways, patios, indoor fireplaces, outdoor fireplaces & fire pits and more. Turn those dark areas in your home into well lit recreation spots with new Egress windows that not only give you more light, but are safer and meet housing standards for your home foundation. 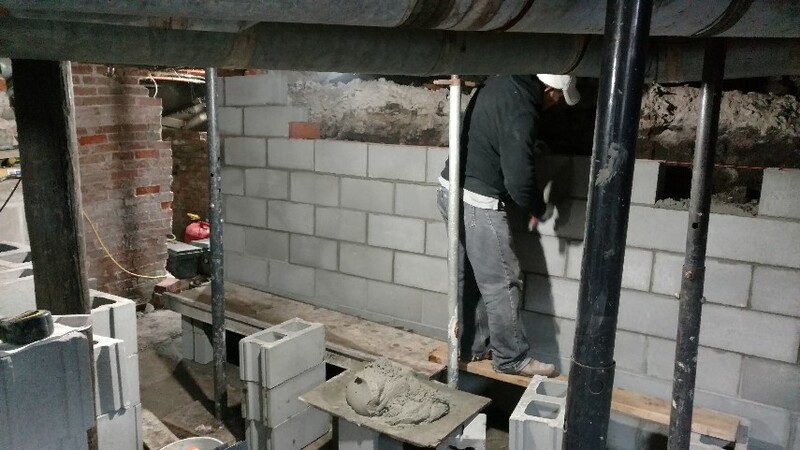 A basement redo in a Lincoln home, now gives the home owner more options for an expanded living area, a more stable foundation and their home is worth more. 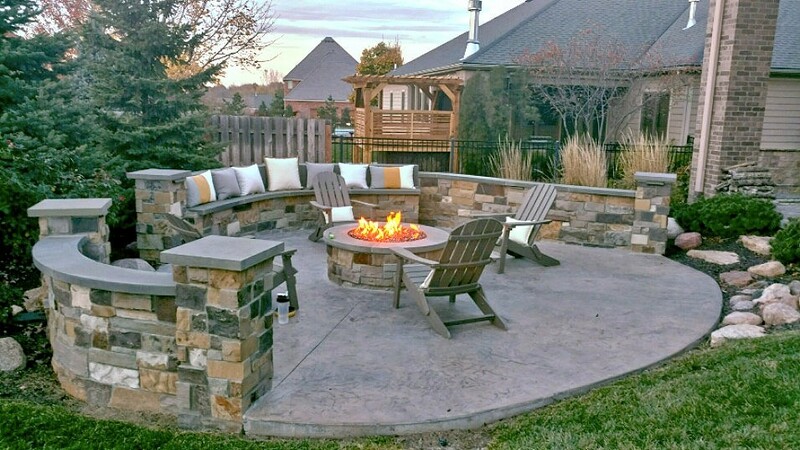 Transform your yard into a entertainment center with a patio fireplace, a fire pit or an ultra patio. 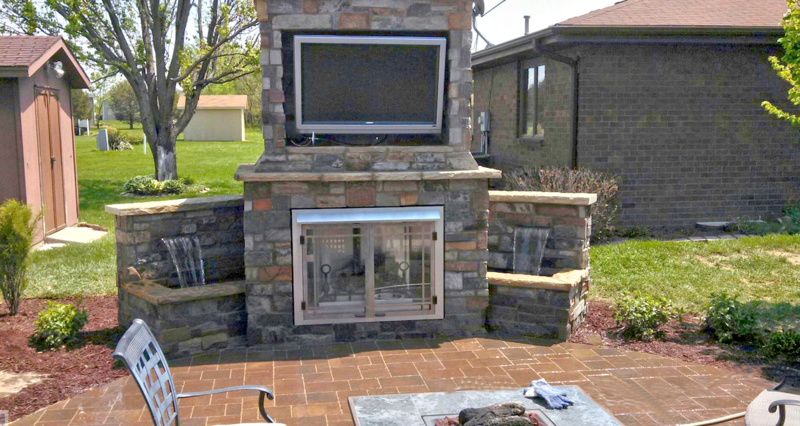 This stone fireplace has a waterfall on each side, a gas fireplace and a 46″ flat screen TV. Entertainment at it’s max. 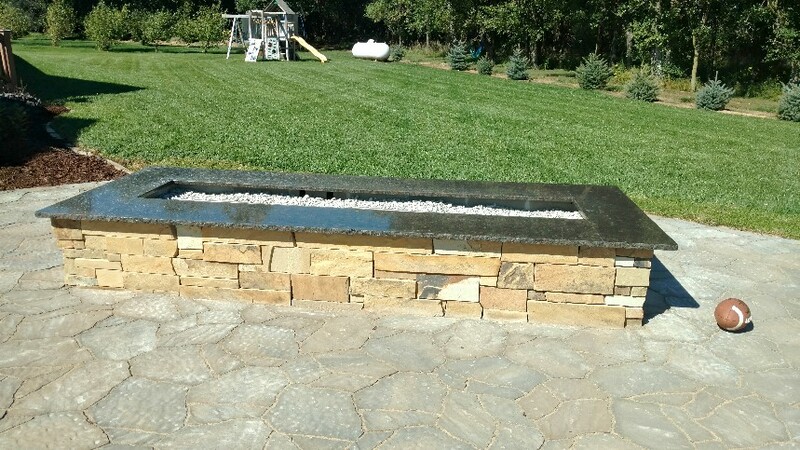 This fire pit can handle a crowd . Made for the large family and entertainers. There’s not much cozier than a fireplace for those cooler months. 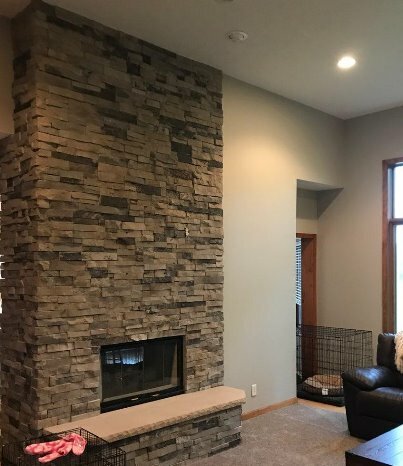 Add a new fireplace, or reface an older one. Nothing speaks more volume than an entryway with appeal. 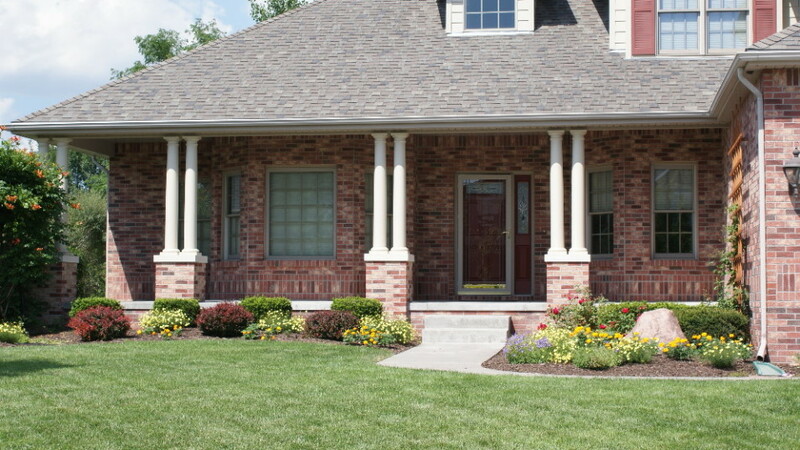 House pillars are not only for looks, but necessary for the overall structure of your home. They come in many designs and styles. 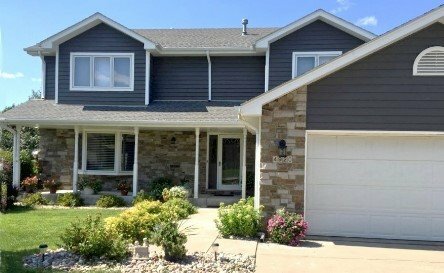 Facades are mainly decorative, but also add great front appeal to your home or business. Facades come in stone or brick of many colors and styles.